He goes on to mention that Bible study groups can also be places where “discussion substitutes for submission to the word of God” (p.29). Instead, he argues, preaching is pre-eminent as the culturally neutral way in which all people can come under the authority and grace of God’s Word. I would wholeheartedly agree with this. The question is, does discussion necessarily mean a lack of submission to the Word? And is interactive Bible study necessarily culturally specific and exclusive? Many university students (largely through the work of IFES/FOCUS) are familiar with a more ‘Western-style’ inductive Bible study – going through 10 or more pre-determined questions, looking closely at a Bible text and discussing the meaning. This has undoubtedly been very helpful to many but can tend to be a bit academic and ungrounded. Outside of university contexts it seems to be more normal to start with just one or two questions or a topic or a recap of the sermon to spark a free-flowing discussion. A Bible text would probably be read but there would be much less reference back to it or detailed analysis. There is a spectrum in leadership styles from open-ended and lightly facilitated discussion (e.g. in middle class Nairobi) through rather more firm and didactic leading (in more traditional contexts) all the way through to what would basically a Bible talk by the leader with little interaction. In fact many churches would use ‘Bible study’ to mean the expository talk that happens early on a Sunday before the main service. One of the challenges a few have noted is in terms of application. In a communal shame/honour culture it is difficult to admit weakness, faults and struggles in a group setting. This can mean discussion becomes rather abstract or applied to “them out there” rather than “me in here”. 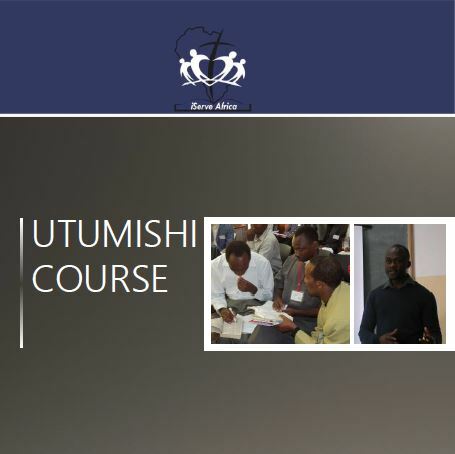 Practical challenges – a pastor working in an informal settlement pointed out some to me the other day that most of his congregation live in a 10 x 10ft house space so would find it virtually impossible to host a Bible study group of 6-10 people. On top of this, those who have jobs often don’t get back home till 8pm or later in the evening so would not be able to get to an evening group. Group discussion is not particularly culturally specific. Most cultures, particularly non-western, value communal discussion. Certainly it might look quite different to the coffee-drinking, sofa-lounging, seminar style. There might be more respect for age and hierarchy. 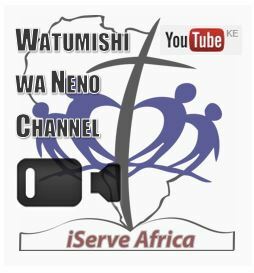 There might well be a need for everyone to participate and give their contribution on each question (and I’ve found that a really nice part of Kenyan Bible studies). Literacy may certainly be an issue but this is not insurmountable. Friends in Nakuru are leading oral Bible studies where Bible stories are learnt verbatim, recited, repeated back, corrected, interrogated, retold, questioned. Questions are very powerful. Jesus used questions regularly to point people back to God’s Word: “What is written?” “How do you read it?” (Luke 10:26) “How/why is it written?” (Mark 9:12; Luke 20:17). While he did often proclaim God’s Word and give his definitive exposition (e.g. Luke 4:16-21; 20:37-38) he was also very happy simply to point to Psalm 110 and ask devastating questions (Mark 12:35-37). The Bereans of Acts 17:11 seem to be a ‘noble’ model for us. Their daily searching of the Scriptures was almost certainly corporate. They were checking what Paul had said against the Scriptures; checking that Paul had used the Scriptures rightly – not twisting them out of context; looking through many other Scriptures to see if they really did all point to Jesus’ suffering and exaltation as Paul seemed to be suggesting. This concept of checking preaching against the Word is hugely relevant in our context – in fact in every context – if it was a good thing to check the great apostle Paul how much more my preaching? How much false teaching could be stopped in its tracks if those in the pews were meeting throughout the week, searching the Scriptures for themselves, seeing if these things are so? There is great power in seeing something for yourself. The Bereans hear Paul as he preaches the necessity of Christ but it is when they see the same things for themselves in the Scriptures that they believe (17:11-12). Similarly in John 4 the Samaritans say, “It is no longer because of your words that we believe, for we have heard for ourselves and we know that this is indeed the Saviour of the world”. This is not to say that preaching isn’t hugely important in drawing people to Christ (as it was with Paul and the Samaritan woman); nor is it to say that preaching can’t bring instant faith – it very often will (Acts 17:4) but it is very important that faith consists in being personally convinced by God’s Word. In a context where an eloquent or respected pastor may be believed simply for his rhetoric or authority, inductive Bible studies may play a very important role – a place where people can see the wonderful truths of Christ for themselves in the Scriptures. On the practical question of accommodating this sort of Bible study group – It does seem that the early church met in houses throughout the week, eating, praying, praising, talking about Jesus together (Acts 2:42-47; 12:12; 20:8; 1 Cor. 16:19). Many early Christians would have been very poor (e.g. the NT letters clearly address slaves) but often there would have been someone in the church like Gaius (Romans 16:23) who could accommodate a group. The building is not the important thing though – it could be an open space (Acts 20:20 “publicly”) or, as in the case of Christians in Rome in the 2nd and 3rd centuries, even underground burial chambers! 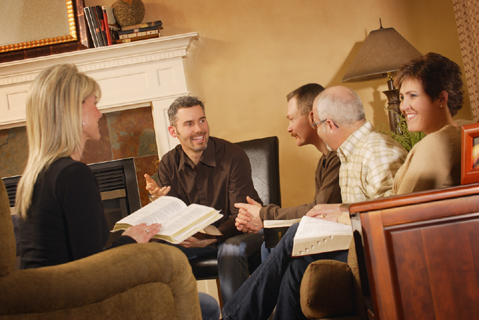 What’s your experience of Bible study groups? How much is this a cultural thing?